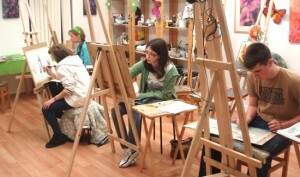 To be good at Ink Drawing students have to know the fundamentals of drawing that are taught at our Pencil Drawing course for adults and teens and at our Art Combo and Art Plus Music courses for children. 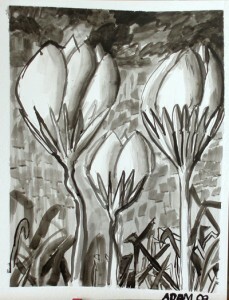 Ink drawing requires lots of patience and special skills in line-making techniques such as contour, hatching, stippling, developed lines, and free-style lines. It can involve as little as only three tones, treating the paper as white. In the past, pen and ink work has been used for illustration for many years. Periodicals around the start of the twentieth century would frequently contain examples of this type of work. 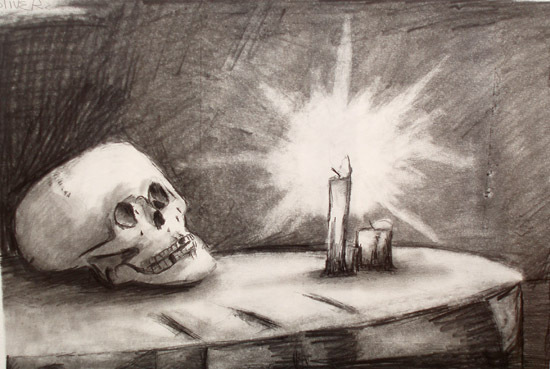 However, for the last fifty years or more, perhaps due to improvements in a variety of things such as color reproduction techniques, photographic processes, available materials, computer graphics, and changes in fashion, pen and ink drawings are not seen very frequently – and therefore perceived as a unique and rare artwork. 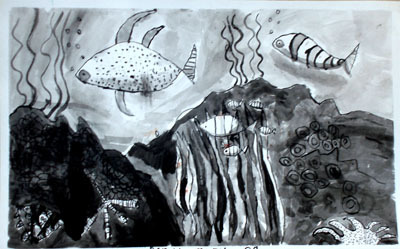 Here is in this post we have introduced some of examples of Ink drawing done by our young students at Art Combo class.